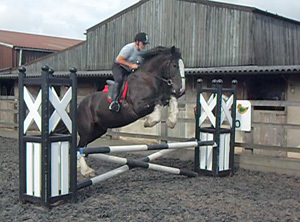 Here at Follifoot we have a wide variety of riding activities to suit different abilities and ages. From half hour beginner sessions through to courses, competitions including Work Based Diplomas and ABRS Tests. See Holiday Activities for upcoming activities. Here at Follifoot Park Riding Centre we are very flexible, if none of the above are of interest to you perhaps you would prefer just to come and sit on a horse for a slow walk around the field! Whatever your goals are we will try our best to help you achieve them.